Packed red blood cells, fresh frozen plasma and whole blood are readily available for those patients in need. Patients are pre-screened to receive the appropriate transfusion and monitored carefully during the actual transfusion. Blood transfusions are often necessary for traumatic injuries or if your pet has consumed rat poison, which causes excessive bleeding. 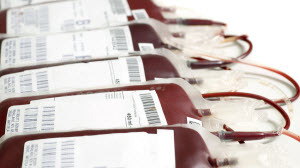 Transfusions may also be utilized for bone marrow or immune-mediated blood issues. Plasma transfusions may be necessary to combat severe infections or clotting difficulties, or for patients suffering from liver disease or pancreatitis.